According to Donate Life America, there were a total of 138 million registered organ and tissue donors in the United States. While it is reported that 95% of adults in the U.S. support organ donation, only 54% are registered organ and tissue donors. However, the amount of people who actually need transplants is on the rise, topping out at more than 114,000 individuals on the national waiting list. Why is it then that roughly 46% percent (nearly half) of the U.S. population who are eligible to be organ donors aren't even registered? 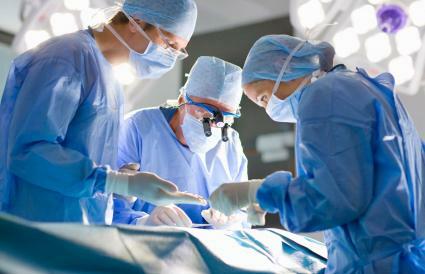 Could it be that the benefits of organ donation do not outweigh the disadvantages? While some may shun the thought of having their body buried without all of its organs, others don't have a problem with it. Besides not being a suitable donor, there are many reasons why individuals are against organ donation. Amish: Approves in organ donation if a person's life will definitely be improved or saved, but is reluctant to participate if the outcome of the transplant is questionable. Gypsies (Romany): Because this group of people share common folk beliefs, they oppose any and all organ and tissue donation. They also believe that a body should be buried with all of its organs intact because the soul maintains its physical self for one year after the individual dies. 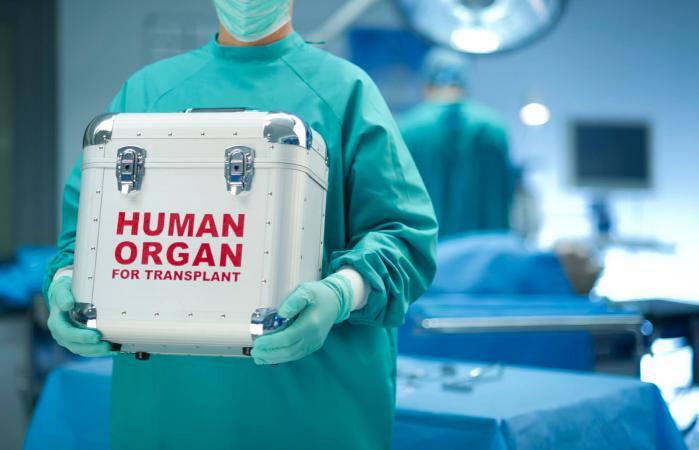 Jehovah's Witnesses: While organ donation is a personal decision, if one decides to go through with the procedure, all organs and tissues must be completely drained of blood first. Shinto: The religion concurs with folk belief that a dead body is "impure and dangerous" and injuring a person after he or she dies is a "serious crime." Therefore, they do not support organ or tissue donation. Because of the Japanese cultural beliefs regarding the body after death, there are not many viable donors living there. For many years, affluent citizens went to countries such as Singapore and Taiwan to purchase organs from executed prisoners even though the inmates did not authorize the donation. This was outlawed in 1994 by the World Medical Association. However, in China, it is still legal to remove and sell organs from executed prisoners without their consent, sometimes even on the eve of the execution when the individual is still alive. In 2004, the director of Willed Body Program at the University of California, Los Angeles was arrested for illegally selling body parts and organs donated to the program by individuals who have died. The deceased individuals donated their bodies to science for research, but instead, the former head of the program received more than $1 million for the organs and body parts when sold on the black market. Another issue with organ donation is can potentially arise with the donor's family. It may be necessary to keep a loved one on life support for an extended period in order to keep the tissues healthy that are to be donated. Unfortunately, this may give the family a sense of false hope since they are still seeing 'life' and this may intensify the grief as well. The family may have a problem with the fact that they do not have a choice on who receives their loved one's organs. It simply goes to the next organ recipient on the list that is a match. This means someone of a different culture, ethnicity, political belief or religion could receive their loved one's organs and this may be difficult for some families to accept. There are short-term and long-term medical cons for being a living donor. If you're a living kidney donor, you may experience high blood pressure, diabetes, loss of kidney function (25-35%), chronic kidney disease and bowel blockage. A small percentage of donors end up needing a kidney transplant themselves but you will get priority since you're a living donor. Emotional short-term cons include worry or anxiety about the surgery itself and stress during the recovery process. Long-term emotional cons could include anger if the patient's body rejects the organ. You may feel sadness or regret as well. Short-term financial cons include the cost of travel and lodging. Also, lost wages for time off work due to testing, surgery, and recovery. Long-term financial cons include having difficulty getting health or life insurance or having to pay a higher premium after the surgery. There is also a chance you would have trouble being accepted into the military or having a career in law enforcement or with the fire department. Organ donation, in general, may contradict personal, family or religious beliefs. People would lose their rights and freedom to decide what happens to their body after death. This change could allow certain doctors to spend less time saving lives in order to secure an organ that is needed by a patient. An opt-out system or a program to recruit more donors may be a better option than making organ donation mandatory. It helps grieving families make some sense out of their loved one's death. It allows some individuals to improve or have a better quality of life. It is more cost-effective in the long run over the cost of lifelong medical care. When it really comes down to it, becoming an organ or tissue donor is really a personal decision that should be discussed with your next of kin, personal physician and spiritual leader. Before you sign up to be a donor, make sure you are completely educated about the process.